Some secrets are too big to keep hidden. Elsie is not like Ma. She doesn’t babble nonsense or feel invisible rodents crawling on her flesh at night. But she is like Ma in one important way. They both have deeply guarded secrets. At 16 years old, Elsie often feels like the adult in the relationship. Ma’s episodes are happening more frequently and Elsie struggles to maintain a sense of normalcy in the home. The family’s façade comes crashing down when Ma attacks someone and is hauled off to the asylum. Elsie quickly learns that an asylum in 1930 is full of sterile smells and whispers of experiments. Desperate to gain Ma’s freedom, Elsie seeks out the director of the hospital to appeal for Ma’s release. But Elsie soon finds that the director is not what he seems and the asylum has its own sinister secrets. Elsie’s childhood home is nestled in the mountains. You don’t wander into Catal accidentally. It is rainy and the sun rarely shines. A foggy haze hangs over the town much of the time. The river that runs through town serves an important function for the lumber industry as they send their timber downstream to the larger, coastal towns. On the outskirts of town people own larger tracts of land that they run small farms on. The staff appear genuinely concerned about the comfort and well-being of their patients. But the asylum is a place of sinister secrets. Outsiders find the trees and foliage claustrophobic. Elsie finds them comforting and beautiful. And a little terrifying as she wonders at the secrets that must lurk in the shadows. One day I got an email from my brother that made me ridiculously excited. It contained a medical file from a mental institution in Pendleton, OR. It was for our great grandma Jessie, a woman we knew very little about. 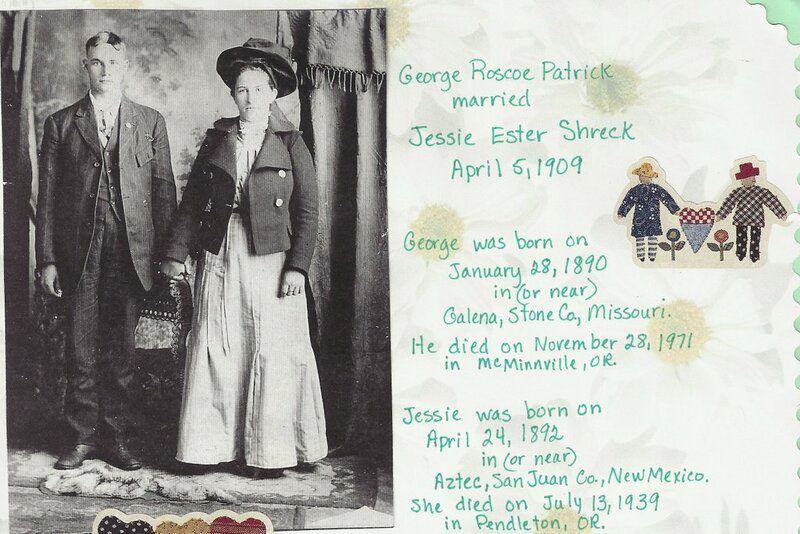 My family didn’t talk much about Great Grandma Jessie. When they did, it was always in hushed tones. “She had a goiter,” as if that should explain why she was sent to live in a mental hospital. I suspect my grandma had a lot of sorrow and shame associated with an institutionalized mother. I don’t know for certain. I was never brave enough to ask her while she was still alive. After her passing I asked my grandpa about his mother-in-law once and his dismissive answer was predictable. Getting my hands on this file was like Christmas morning for me. At last a small picture of Jessie emerged from these pages. The doctors who dealt with her described her as even-tempered and well-mannered. She was well-groomed and always neatly dressed. She was polite. On the surface everything seemed fine. But she fought some serious demons. She was diagnosed with depression and schizophrenia, but it was the 1930s. She didn’t have access to the same kind of treatment we have today. As far as I can tell she never harmed her children, though they undoubtedly witnessed her own self-harm. Her oldest son, George, helped her check into the mental hospital where she lived out the rest of her days. 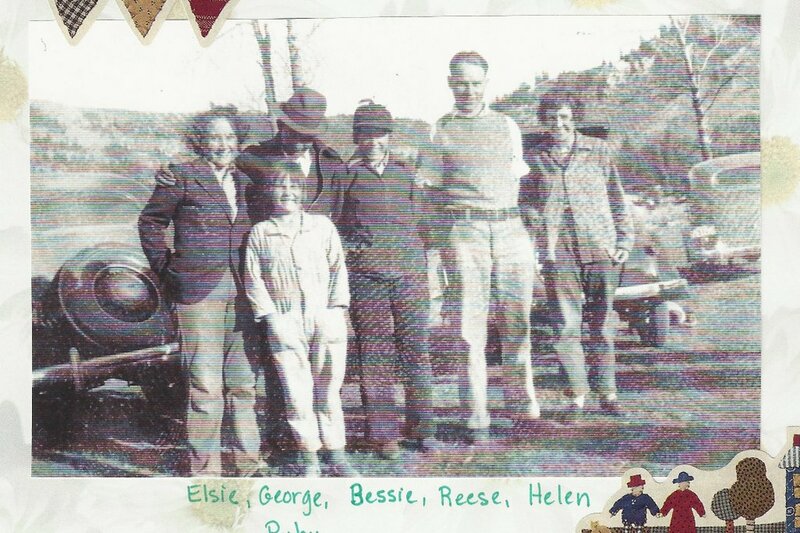 Clever Elsie is not a retelling of my grandma’s life or the life of her institutionalized mother. Instead, I imagine what these two women hoped for out of life and out of their relationships. This is where I draw my inspiration from, giving this Grimm’s tale a richness and depth that goes beyond the simple retelling of a fairytale. It’s not 1930, and we don’t have to battle our demons alone.